More money will be raised by the Mòolelo Performing Arts Company this summer due to Board of Trustees member Elaine Hiel's promise to match every dollar individuals donate between June 14 and Sept. 21, 2008. Pledging as much as a $5,000 contribution, Hiel created the fundraising challenge to promote awareness for aphasia, a disability suffered by her deceased husband, Joel Hiel. Aphasia, which is the loss of the ability to produce or comprehend language, is also the affliction that tortures the central character of “Night Sky,” a play the company is producing in homage to the late Hiel. Exploring a communication struggle universal to all humans, the play compares black holes in the galaxies to the mind of an astronomy professor who is unable to express his innermost thoughts due to a brain injury. People in Northern Ireland who lose their ability to speak after suffering a stroke are not getting the help they need, according to a new survey. 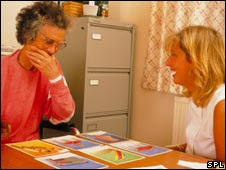 It found many stroke survivors feel they do not receive enough speech and language therapy. Speechmatters, part of the Stroke Association, will launch its Lost Without Words campaign at Stormont on Wednesday. 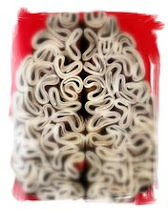 The association's Laura Gregson said aphasia could be "devastating". "It not only affects stroke survivors' speech, it also affects their life in terms of work, socialising and family life. "Many people with aphasia feel isolated, they feel depressed and they feel their life has been taken away." Photo of Dr. Calvin O. Butts III, acknowledging Jim Gates and Stephon Alexander at the Abyssinian Baptist Church, as part of the World Science Festival, NYC. From entropybound's flickr set (and check out his blog). Many hundreds of people came out, on a rainy Saturday evening in Harlem, to hear the great Dr. Oliver Sacks speak on "Music and the Brain." We waited in a line that snaked all the way down 138th Street from the church, around the corner, and way down Adam Clayton Powell Jr. Blvd. Though the event listing mentioned the location as The First Abyssinian Baptist Church, a historic Harlem landmark built in 1808, which is well known for its choir and its pastor, Calvin O. Butts III, and we all knew that gospel music was to be paired with Dr. Sacks' talk, no one was quite prepared for the multilayered experience that lay ahead. A ferociously energetic church lady in a polka-dot dress was hawking CDs along the line, in a voice that demanded one's attention, and with an intensity that made me quake in my boots. To refuse her wares would take some courage! Thank god the line began to move. Leaving the stairwell to enter the balcony, the space of the enormous church opened up in all its glory. Silvery pipe-organ pipes rose up everywhere -- in the balcony, at the back, the sides, up behind the altar area. I've never seen so many. But the church organ had some company: a concert grand piano, a full drum kit, a three-drum African skin-drum kit, and a freestanding jazz organ. Sitting in the front row of the balcony, we were amongst a happy crowd of folks -- who seemed well enough behaved to my eye, but apparently not in the judgment of the large, bald, Abyssinian Baptist employee, wearing an OFFC T-shirt, who was overseeing our section, and who apparently felt we all fell quite short of the mark. Upon closer inspection, the large red letters OFFC on the front of his shirt were accompanied by some smaller yellow letters below, explaining the acronym: "On Fire For Christ!" The fire must have been pretty hot, to judge by the way this fellow made sure that no one put their feet upon the balcony rail, and generally acted like a cross between a stern master at a boys' school, and a security specialist on a far-off planet -- one where no one's even heard of laughter -- who took his job in deadly earnest. A lack of compassion is putting patients at risk in the NHS, a new report will claim today. Failure to provide humane care has become endemic in the health services because beleaguered staff have too little time to pay adequate attention to fundamental human needs, the NHS Confederation report warns. Nurses and doctors cannot spend as much time as they should with patients, and are sidelining essential care elements such as diet, pain control and hygiene because NHS targets are driven by the need to satisfy budgets rather than by care and quality. Technical advances have made medicine more efficient but less humane, the report claims, and warns that government plans to tackle malnourishment and MRSA, as well as to give patients more dignity, are destined to fail unless compassion is restored to the heart of healthcare. In medicine, a sign is an objective observation or finding on a clinical examination. Examples include a limp while walking, high blood pressure on a cuff reading, or disorganized and delusional speech content during conversation. A symptom is a subjective experience that is reported by the patient, such as pain in the knee, throbbing headaches on exertion, or voices in his head telling him to fight off the evil forces threatening him. A syndrome is a standard cluster of signs and symptoms that occur in a regular pattern, are typically associated with a particular causal factor, and/or occur in a particular subset of the population. Examples include degenerative arthritis of the knee in an ex-athlete, hypertensive headaches in an overweight woman with a high-salt diet, and paranoid schizophrenia in a homeless young man who abuses amphetamines and alcohol. A syndrome becomes a disorder when it interferes with important life functions of the patient, such as shortening life, decreasing the quality of health and well-being, or interfering with job, family, or social functioning. Although different syndromes have different symptom clusters, there are some general signs of mental disorder that police officers should recognize (Pinizzotto & Deshazar, 1997; Russell & Beigel, 1990; Will & Peters, 2004). General inappropriateness of behavior may be a sign of mental illness, although it may also be due to intoxication or even just youthful exuberance. Individuals with mental disorders tend to have their cognitive and behavioral gyroscopes set to extremes, characterized by either inflexibility and rigidity, or impulsivity and unpredictability. Emotions may range from elated to depressed, calm to panicked, and there may be an unnatural changeability of mood that is inconsistent with the circumstances. Attention, concentration, and memory may be impaired, either due to an organic brain syndrome or heightened distractibility from the anxiety of an internal dialogue. Severely disturbed subjects may be disoriented for time (“What day is this? Is it morning or afternoon?”), place (“Do you know where you are now? Where do you live?”), or person (“What’s your name? How old are you?”). Speech may be tangential, flitting from topic to topic without a clear connection between them, or it may be circumstantial, remaining on, or returning to, the same topic, even after the conversation has moved on. Perseveration refers to abnormal persistence or repetition of speech or behavior. Pressured speechabnormally slow, occurs in a rapid-fire, jumbled form, as if the person is rushing to spill out all the words as fast as possible; conversely, speech output may seem as if the subject is weighing and measuring every word. Aphasia refers to a group of organic language disorders characterized by various disturbances in comprehension and expression. Most commonly seen in elderly persons with strokes or dementia, subjects with receptive aphasia fail to comprehend normal speech, and may appear to be ignoring or defying the officer’s commands. The speech output of subjects with expressive aphasia may seem garbled and confused, and in severe cases may be limited to one- or two-word answers that are off the mark. Aprosodia refers to an abnormally flat and unexpressive tone and cadence of speech, even where the vocabulary and grammar are essentially intact. Some subjects may remain completely mute, either due to organic language disturbance or psychotic fear of saying anything. Remember, too, that perfectly healthy suspects may clam up to avoid incriminating themselves or just to be obstinate.